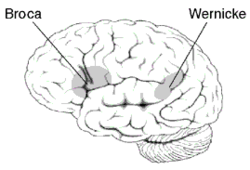 I recently read Metaphors we Live by, a seminal work in the field of metaphor research. Written by George Lakoff, a linguist, and Mark Johnson, a philosopher, the book incorporates both fields in an argument for metaphor’s importance in our lives. The authors make the case that metaphor allows us to apply our physical and social experiences to make sense of many other subjects. By this definition, metaphors structure our understandings of so many concepts in our lives (from arguments to time perception), and consequently shape our perceptions of and actions regarding those concepts. While I do subscribe to their thesis, the most what struck me most when reading this work that I have so often read about was the observation that they were talking about embodiment without referring to it as such (probably because the term wasn’t yet in use). In a way, it seems to me, Lakoff and Johnson are hipsters, advocating for embodied cognition before it became trendy. 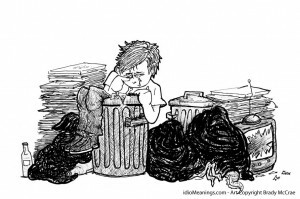 Down in the dumps, literally and metaphorically. Crucially, they argue, metaphors are systematic, not arbitrary. So if happy is up, we could never introduce a new metaphor into our language in which something like “he dropped down a level” meant that he got better in any way. Embodiment comes in when we realize that when we’re healthy and happy, we physically stand taller. We hold our heads higher and we look UP. Because in our personal experiences, “good” and “up” really do correlate, our metaphors reflect that. Then the metaphor becomes a self-fulfilling prophesy, as our subsequent actions may also be shaped by the metaphors which are first based in experience. I think that if Lakoff and Johnson, or any of us, want to make the argument that our linguistic practice of equating “good” and “up” is rooted in our physiology, we should look at other languages. Do speakers of other languages have the same systematic metaphors? The presence of metaphors in which “down” and “good” are equated in any language would make me rethink this argument. They write that “not all cultures give the priorities we do to up-down orientation. There are cultures where balance or centrality plays a much more important role than it does in our culture” (p.24). I was eager to read elaboration on this, and maybe some examples… but that was all they wrote.Thus, for now, I’m on board with the idea that our bodies have systematically shaped our metaphors. In addition to “up is good,” we also systematically express the unknown as up (i.e., that’s up in the air; I’d like to raise some questions; let’s bring it up for discussion). When we ask questions, presumably regarding something that’s unknown to us, our intonation rises – not a coincidence, the authors claim. The authors bring up the idea that in language (not just English), more form equals more content. So when we say “he is very very very tall,” we get the impression of a much taller man than one described as, “he is very tall.” Many languages use reduplication, the repetition of one or two syllables, to evoke more content as well. In some languages, reduplication applied to a singular noun makes it plural, or applied to a verb makes it continuous. These practices demonstrate another metaphor we live by – that a linguistic expression is a container and its meaning is the contents of that container. By adding more language to the container (expression), we add more content. But metaphors are not merely things to be seen beyond. In fact, one can see beyond them only by using other metaphors. It is as though the ability to comprehend experience through metaphor were a sense, like seeing or touching or hearing, with metaphors providing the only ways to perceive and experience much of the world. Metaphor is as much a part of our functioning as our sense of touch, and as precious. The most compelling reason, I think, that we shouldn’t make fun of dialects traditionally considered dumbed down versions of English is that they, too, are rule-governed, and we might make fun of them incorrectly. And that sort of defeats the purpose of mocking them. 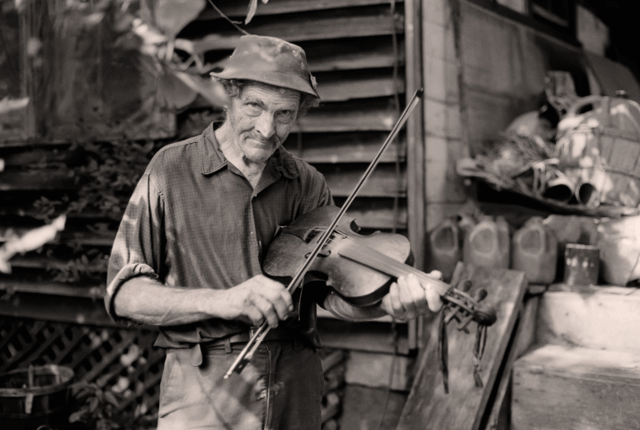 This article talks about three specific examples from dialects that are often made fun of. One is the Appalachian a-prefixing (he was a-huntin’). Another is the Southern use of the word “liketa” (She liketa killed me! ), which is similar to the word “almost.” And the last is the African American use of the stressed “bin” (she bin married), which has a different meaning and usage from “been,” with which it’s often confused. A fun reminder to get off our linguistic high horse (something that I’m often guilty of). A while back I posted some cool maps demonstrating lexical differences across the US. Then, I came across some similar maps in Pennebaker’s book The Secret Life of Pronouns: What Our Words Say About Us (review soon). His claim is that by looking at the function words in a text (words like and, I, because) we can learn a lot about the author. In one study, he analyzed about 37,500 essays written in response to a National Public Radio program called This I Believe. The essays were written by people all over the country, and Pennebaker first found trends in the content of the essays- stories about sports were most common in essays from the Midwest, racial issues from the South, and science from the Northeast. 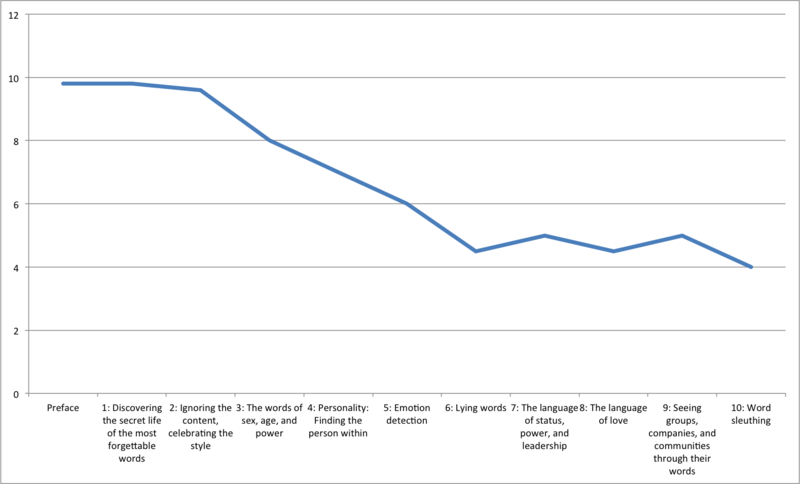 More interestingly, he argues, were the variations in function word use. 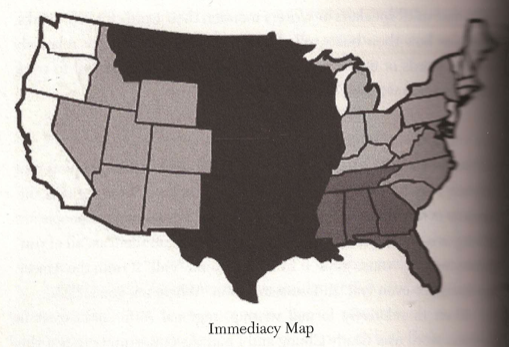 One finding was that people in the middle of the country used the highest rate of I-words, present-tense verbs, and short words, indicators, he claims, of psychological immediacy, characterized by being “in the here and now.” This is shown by the top map (darker colors indicate higher levels of immediacy). 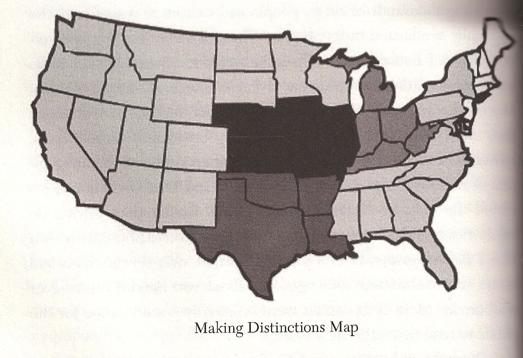 The second finding was that people in the middle of the country tended to use words like conjunctions, negations, and prepositions, at higher rates than people in the rest of the country, which reflects analytic thinking and making distinctions between ideas. Again, darker colors show higher usage of the function words that reflect making distinctions. Are these findings meaningful? I’m hesitant in taking this as a suggestion that people in the middle of the country tend to live more in the moment and exercise more analytic thinking in the form of making distinctions, but it’s interesting nonetheless.